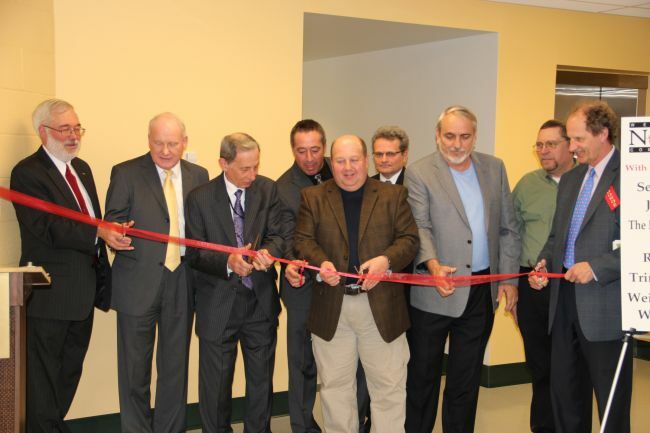 Numerous college, state and area dignitaries attended ribbon-cutting ceremonies Monday for the $2.78 million expansion project on the Weirton campus of West Virginia Northern Community College. Presiding at the ribbon cutting were Chancellor James Skidmore of the Community and Technical College System of West Virginia, WVNCC President Martin J. Olshinsky and Weirton Campus Dean Mike Koon. An open house immediately followed the ceremony. Ground was broken on May 24 of last year on the nearly 10,000 square foot addition that houses two new classrooms and three new laboratory classrooms being used for health sciences classes and for Mechatronics, a new program that prepares students to be electrical and industrial maintenance technicians. General contractor for the project was Trushel Construction Co. of Weirton; SMG Architects, Wheeling, designed the addition and coordinated the project. The addition comprises two floors and utilized solar panels on the roof, making it a green building. Steve Lippiello, chief financial officer/vice president of administrative services, said the college will bemonitoring utility costs and expects to see a reduction as a result of the solar panels. 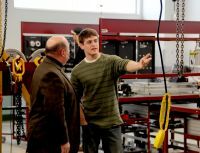 Olshinsky, Koon and Lippiello agreed that Mechatronics, Surgical Technology and Respiratory Care students all have praised the new classrooms and labs, noting how much they appreciate working on state-of-the-art equipment. 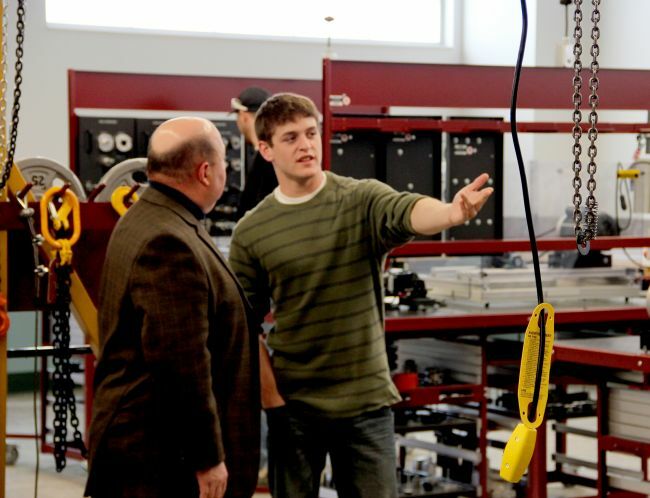 The technical courses associated with Mechatronics and the health sciences programs have an intensive hands-on lab component as students learn skills needed toqualify for graduation and begin their careers. Tours of the new addition to the campus, located at 150 Park Ave. on Weirton Heights, were conducted by college students and staffers and refreshments were available.